Here is a BelPolitik translation of a note released by former Haitian President Michel Martelly in regards to comments he made while performing as the artist "Sweet Micky" about stolen PetroCaribe money he invested in Haiti's respected hotel chains. In response to the debates in the media and on social media relating to public statements held during public performances and outings, I want to provide the following clarifications for the record. As soon as I became president of Haiti, I promoted and attracted national and international private investments in key areas areas. In the wake of this policy, taking advantage of the favorable climate, many nationals and foreigners have made significant investments in several areas, including in the hotel industry. 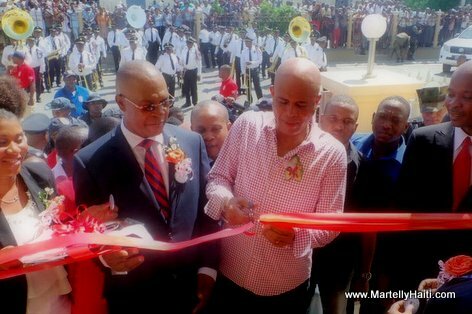 President Martelly prides himself and publicly commends and congratulates all those who believed, especially the shareholders of Best Western, Marriott, NH El Rancho among others. It is common knowledge that these companies belong, for the most part, to multinationals and known local and foreign investors and that the Haitian state or government, let alone the presidential family of the five-year period May 2011 - February 2016 hold neither interest nor shares in these companies. Once again, we would like to pay tribute to those investors who, not only through their investments, have created several thousand direct and indirect jobs, but have brought new life to the national economy and have contributed to the improvement of the image of the country. It is no secret that, besides my political career, I had and I have an artistic career and that it happens that during my performances, I often like to call on humor and even self-deprecation to demystify some current events and entertain my audience. I note the turmoil and the commentary on a statement that the artist that I am had made several months ago on some of these investments. I confirm that it was a question of humor and that these statements must remain in their context. I regret the consequences that these remarks could or have have caused. Having enjoyed the trust of the population from 2011 to 2016, I remain sensitive to the echo of their voice. 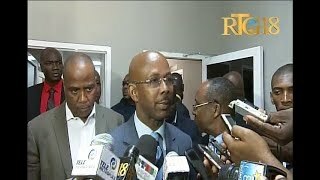 That is why I want to state emphatically and clearly that I am in favor of accountability for the use of PetroCaribe funds and any other state funds that may have used dubious means to establish the truth and prevent all false and / or unjustified accusations. I reiterate my confidence in state institutions to conduct fair, impartial and fair investigations in order to preserve the principle of the presumption of innocence and to establish the guilt of any institutions or individuals who deserve it if is the case.